Thomas Hancox is principal flute of Northern Ballet and works regularly as guest principal flute with the UK's leading symphony and chamber orchestras, including the Royal Philharmonic Orchestra, London Philharmonic Orchestra, Philharmonia Orchestra, Academy of St Martin in the Fields, English National Opera, and the English Chamber Orchestra, amongst others. Solo and chamber work has led to collaborations with artists and ensembles including the Allegri and Sacconi string quartets, Trevor Pinnock, and Jeremy Denk, with recitals in the Cheltenham, Spitalfields, St Davids, Canterbury, and Oxford Chamber Music festivals. Dedicated to bringing music to all, Thomas is Chief Executive of CAVATINA Chamber Music Trust, a charity that introduces and makes available chamber music to young people. With his harpist duo partner, Rachel Wick, he has also been an artist for Live Music Now, a charity that brings the joy and power of live music to those who otherwise would not be able to access it. 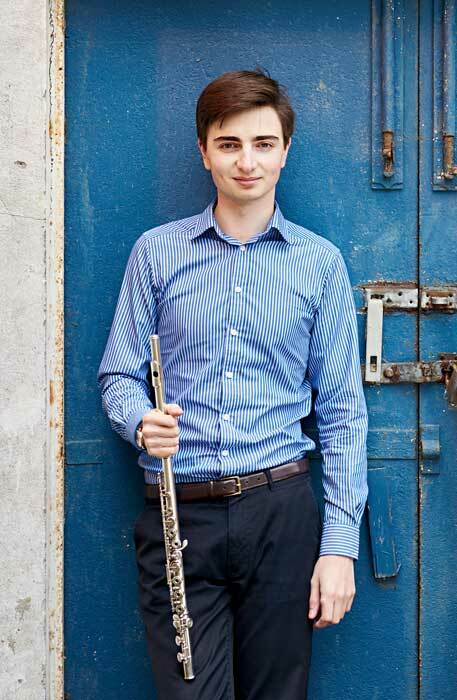 Having previously taught at King's College London and the Dragon School, Oxford, he is a tutor on the ever-popular Flute Kitchen summer course in Harrogate and gives classes at music departments and colleges throughout the UK. Thomas read music at St Peter's College, Oxford, from where he graduated with a first, before pursuing further studies in Paris with Patrick Gallois, and subsequently at the Royal Academy of Music with Paul Edmund-Davies and Samuel Coles, finishing with a distinction and the honorary DipRAM. He was generously supported by the Countess of Munster Musical Trust, the Leverhulme Trust, the Arts and Humanities Research Council, the Musicians Benevolent Fund, and the Craxton Memorial Trust.